The Halftime Show is one of the things that you can’t miss in the upcoming Grey Cup 2018. The Grammy-winning Canadian artist Alessia Cara will be the main performer of the halftime show. The famous artist won the Grammy back then in January. The officials have confirmed that she will perform at the Grey Cup 2018 Halftime Show. She will headline the show. For those who have been the fans of this favorite performer, adding one additional reason why they need to attend the Grey Cup 2018. The CFL – Canadian Football League officials confirmed that the Grammy-winning artist would perform in the Halftime Show at Commonwealth Stadium in the middle of the Grey Cup 2018 event. Anyway, the singer if from Brampton, Ontario. So, it makes more sense when the singer from the country will take the helmet to perform in the prestigious event. 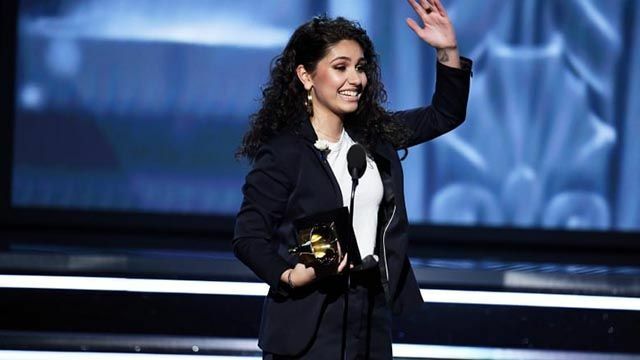 Alessia Cara is the 1st Canadian to take home the Grammy trophy for the best new artist. She is famous because of her hits including Scars to Your Beautiful, Stay, Wild Things, and Here. Last year, Shania Twain began her headline performance at the 2017 Grey Cup in Ottawa. This time, Alessia Cara will shine through the stadium. The exact details of the halftime performance aren’t still available yet in the official page of the Grey Cup. Alessia Cara is also multi JUNO Award-winner. With many achievements spotted in the mass media’s, these are sensible reasons to pick the singer over other performers for the Grey Cup 2018 Halftime Show. The Grey Cup 2018 will be the 106th Grey Cup that happens. Shaw will be presenting the Grey Cup, which explains why the officials cite it as 106th Grey Cup submitted by Shaw. It will occur on November 25th, in Edmonton. Alessia Cara will perform during the Freedom Mobile Grey Cup Halftime Show. Precisely, the performance will happen at The Brick Field at Commonwealth Stadium on November 25th. All football fans surely know about this big event and don’t want to miss it. As the big event, it is sensible that we can catch up with it through different ways, besides attending the venue. The broadcast right holders for the upcoming prestigious cup are TSN, ESPN2, RDS, and BT Sport. For those who want to follow the spectacle while on the go and driving, you could tune in TSN Radio or Sirius XM radio. The coverage will start at 6 p.m. ET. Alessia Cara stated that performing at the upcoming Grey Cup 2018 was such an honor. She was excited to be an essential part of the halftime show. For Canadian people, it is also a fantastic event to watch the rising stars perform at the important event. With the fact that Cara will be headlining the Freedom Mobile Halftime Show and the action-packed Grey Cup Festival, the big game will stop Canada and the rest of the world on November 25th. Reserve your option to watch Halftime Show of the Grey Cup 2018.